4. Wide usage: widely used in LCD monitor, laptop, KTV song-order station; GPS navigation; Car DVD; Advertising Player; Kiosk; POS, PLC, ect. Please tear up the two sides of the protective film when use this kit,Then will increase the transmittance of the touch screen and protect your eyes. Note: There are some bubbles on the protective film which is normal and has no influence to the usage. If you do mind, please think over before ordering. Thanks. 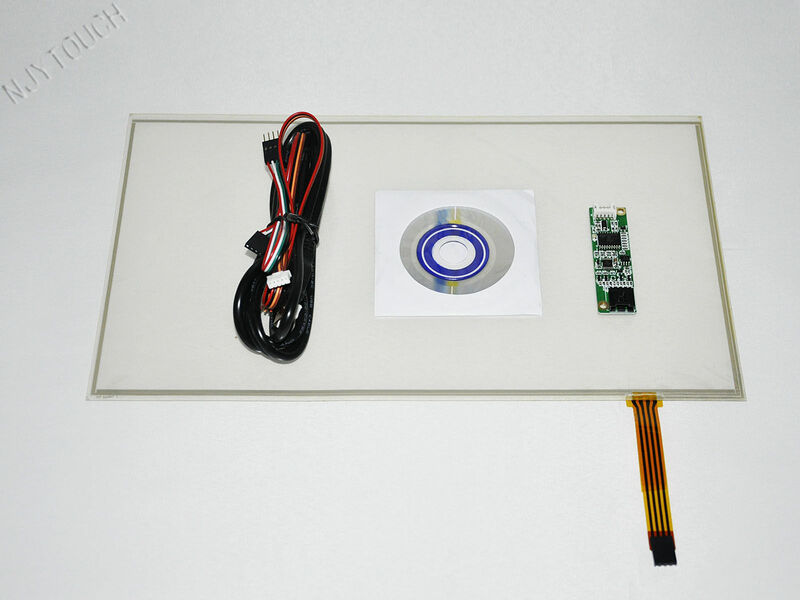 This 4 wire resistive touch panel is quite different from normal touch panel. It is film structure, very soft and not fragile. Package includes： A 14.1 inch 4 wire resistive touch panel; a USB controller, a USB cable and a driver.